We were looking at the brilliant BBC History web pages (probably worth more than the television part of the licence as someone said), a real goldmine of interesting stuff, beautifully presented and easy to find your way around. Then we looked at the BBC Radio Merseyside History pages, again very interesting. In particular, we looked at an audio slide show about the Lewis’s Department Store that closed earlier this year. For most of us, the shop was part of our lives. Its passing feels like a more human historical event than the major “historical events”. 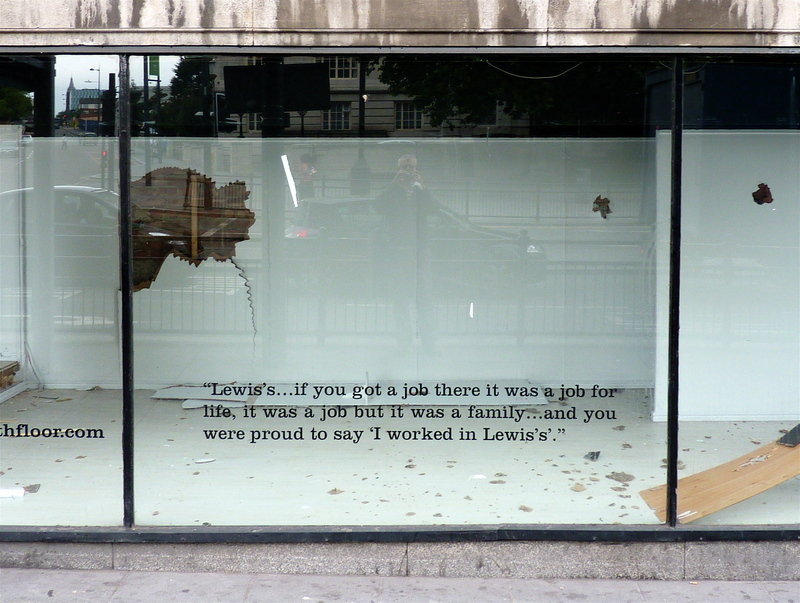 Lewis’s had their own flickr site where you can see some pictures relating to the store’s history.